Twelve years ago researchers at IBM established the DREAM (Dialogue for Reverse Engineering Assessment and Methods) Challenges, an open science, crowdsourcing effort to tackle difficult problems in medicine. These have ranged from predicting drug behaviour to the treatment of acute myeloid leukemia, with participants leveraging the wisdom of the crowd to discover novel and superior computational models, and to make these widely available. 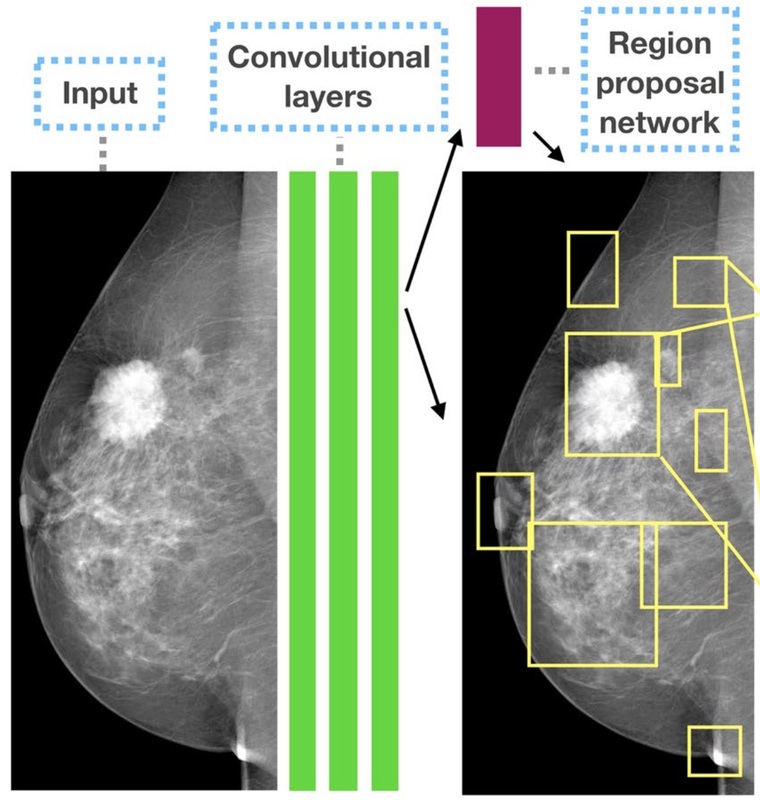 Last year saw the completion of the Digital Mammography DREAM Challenge that asked: Can machine learning help improve accuracy in breast cancer screening? Classification performance is measured as the area under the curve (AUC) when sensitivity is plotted versus the false positive rate. 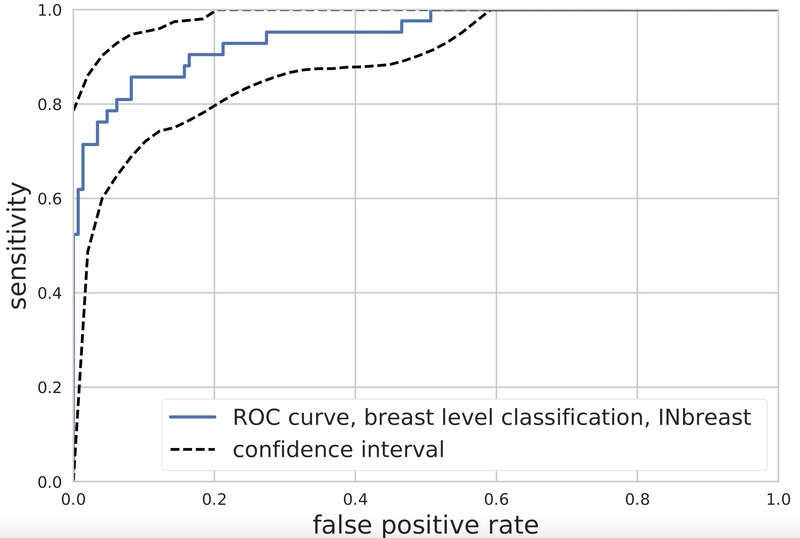 In the DREAM Challenge, Ribli’s team had an AUC = 0.85, but their latest results have established the state-of-the-art in classification performance with an AUC = 0.95 for the publicly available INbreast database (see below right, © Scientific Reports). Their CNN algorithm not only identifies the precise location of lesions, but it is also able to classify them as benign or malignant.